Running a virtual paralegal business can be challenging and painful. It’s not for everyone. You must balance the day to day operations of your business while successfully serving your clients. Managing a Virtual Paralegal Business eGuide gives you an overview of what is required to not only work for your business but also to work in your business. 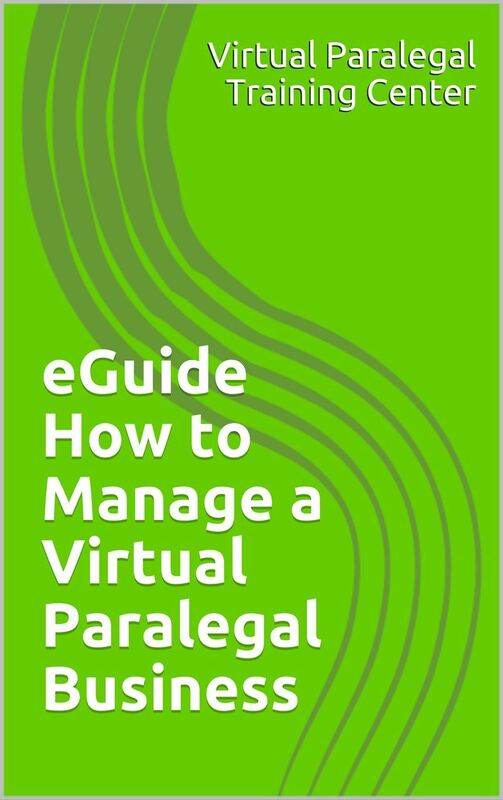 It contains practical and relevant aspects of creating and managing a successful virtual paralegal business such as: client services, confidentiality, managing your assignments, billing, insurance and taking time off from your business. This sample eGuide is available in PDF format and Amazon Kindle. Many virtual paralegals have failed - often quickly - because they don’t price their services in a way that allows them to remain competitive and profitable. Don’t make that mistake. 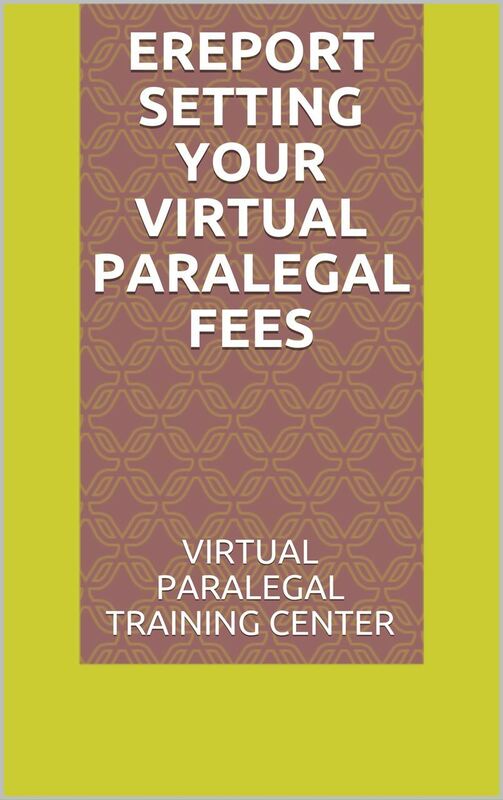 This eReport on Setting your Virtual Paralegal Fees gives you step by step examples and options on how most virtual paralegals calculate their hourly rates. This sample eReport is available in PDF format and Amazon Kindle. Disclaimer: There is no express or implied warranty given. The Virtual Paralegal Training Center™ is not a law firm and is prohibited by law to give any legal advice. Any & All products & services published by ("VPTC") are solely for informational purposes. The Virtual Paralegal Training Center™ is not a Paralegal School. We cannot assist you in getting a paralegal certification or degree. References made to third parties are based on information obtained from sources believed to be reliable but are not guaranteed as being accurate. Users should not regard it as a substitute to consulting expert advice. Opinions expressed on VPTC are subject to change without notice and the Virtual Paralegal Training Center ™ is not under any obligation to update or keep current the information contained herein. Our comments are an expression of opinion. While we believe our statements, links and referral to be true, they always depend on the reliability of their own credible sources. We recommend that you consult with licensed, legal or financial advisers before making any decisions. Also, you should use this information as you see fit, and at your own risk. Your situation may not be exactly suited to the examples illustrated here; in fact, it's likely that they won't be the same, and you should adjust your use of the information and recommendations accordingly. None of VPTC products & services are intended to replace common sense, legal, financial or other professional advice, and is meant to inform the reader. All products are only for personal use. Retransmission, redistribution, or any other commercial use is prohibited. This includes reposting form to another site offering free legal or other document forms for download. Your use of VPTC products & services constitutes your acceptance of these terms and your agreement to hold VPTC, its officers, employees and any contributors to VPTC harmless for any damage you might incur from their products & services If you do not agree to the above terms, please do not proceed.